Fortunately, these connections extend outside of the classroom as well. My classmates have been some of my best resources throughout the recruiting process, during both my first and second year. 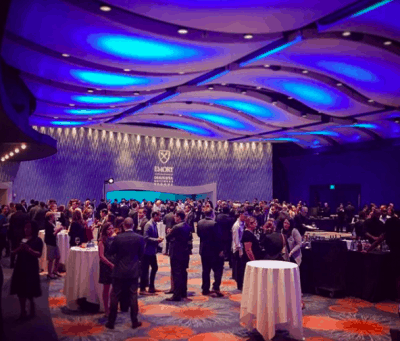 Goizueta students begin building connections even before the core begins as each incoming first-year student is assigned a second-year peer career coach, or PCC, whose career interests are similar to theirs. My PCC first reached out to me in April of 2016. As someone who had already recruited for and interned in brand management, she was able to help me polish my resume, research companies and brush up on my interview skills, all months before I started school. After I moved to Atlanta to start my time at GBS, my peer career coach and other Goizueta students continued to be amazing resources for me. Classmates who had interned or previously worked at companies in which I was interested were always willing to meet me for coffee to chat about their experiences, which was extremely helpful to me as a career switcher trying to figure out where I wanted to go. I leaned heavily on my classmates for help with recruiting and they were always willing to lend a hand, whether it was by mock interviewing me, helping me to make a connection or just offering their advice. The small size of Goizueta’s full-time MBA program is definitely a huge advantage for us, both in the classroom and in recruiting. It’s created a powerful network for me that I know will extend long after I graduate. Katie Hoppenjans is a second-year MBA student concentrating in Brand Management. She is originally from Columbus, Ohio and graduated from Columbia University with a degree in English. Before coming to Goizueta, Katie worked as a fashion and beauty editor at a national bridal magazine in New York City. This summer, she will be interning at Georgia-Pacific in their Marketing/General Management program.